Fact: The new cards are free — you do NOT need to pay for your new card and you don’t need to do anything to get it. Medicare will automatically mail your new card to you. 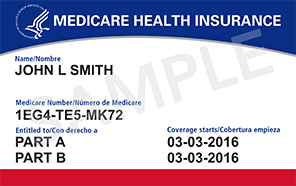 In fact, you can sign up to get an email from Medicare to know when to expect your card in the mail. For more information about Medicare card scams and other scams, contact Washington state’s SMP, which is part of our Statewide Health Insurance Benefits Advisors (SHIBA) program, at 1-800-562-6900.